In order to start your business, you must do what is called a “Memory Jogger”, which is a list of names that you will call or contact to tell about your products or mlm business. Most folks that do a memory Jogger in mlm, or makes a names List, find that they have some difficulty coming up with the names. The Network marketing Company you have partnered with should provide you with a list of “Triggers” that will trigger your mind of people that you know. It is a Psychological Fact that if you are 25 years or older, you know 1000 people. You have just forgotten most of them, so you need a reminder of them. That is the purpose for a Network Marketing Memory Jogger. The list could contain names of family, occupations, associations, plus many more. You need to look at the list and come up with as many names as you can. But you must come up with at least 50 names the first attempt. This will give you what I call a “Working Inventory”. Your REAL Inventory is NOT the products or Services your company sells….it is PEOPLE. And you MUST have people to talk to about what you are doing. Many folks who start out have way too few names, and then complain that they have no one to talk to. Think of everyone you know WITHOUT judging their interest level, and write their name down. Use the Memory Jogger provided by your network marketing company, and do it with your upline. It will become a very important part of your beginning success in MLM. Use the “Follow your Dollar” strategy to come up with names for your warm market list. WHO are you spending money with to live your life and purchase things for you and your family? Who is your Insurance Agent? Who did you buy your car from? Who do you buy your clothes from? Who sold you your house? Who do you buy your airline tickets from? Are you starting to get the point? There are people you do business with. You need to let them know you could use their help in your new network marketing enterprise. To DOUBLE the size of any Memory Jogger, you need to ask a question. This will double the size of any Names List you can potentially come up with. Doing a Memory Jogger is important to your getting off to a good start in Network Marketing. Make sure you do it and follow the suggestions your company recommends for massive MLM and Network Marketing Success. MLM Leads are a great way to not only create activity in your MLM Business, but also find some great people for your business. Many people are looking for a home business, and MLM Leads have proven to be a great source of Success with lots of folks. 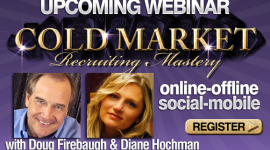 I worked cold market MLM leads for years, and was blessed with great Success. The cold market can be brutal, but also can be fun and easy if you know what to do. What are some of the Success Secrets of working MLM leads? 1) Make sure you know who you are looking for. Let them know that those are the traits you are looking for, and the traits that have proven to be needed for Success in Network Marketing. Also, a good track record of Success helps as well. 2) Always give them an Exit Strategy. Make sure that you let them know they are free to end the call anytime they choose. There are many ways to do this, but my favorite way is the FEEL FREE tactic we teach at PassionFire School of Network Marketing. People will perceive with an Exit Strategy that there is NO pressure and that you are not trying to do anything except hold a conversation with them. 3) Keep the topic, focus, and conversation about them. Ask, ask and ask more questions about the MLM lead. They want to see if you are interested in THEM, not just recruiting them. Ask about their family, where they live, the type of work they do, what they like to do in their spare time, what kind of spare time they have, what kind of money they are looking out of a home business, why they are looking at a home business, and what kind of Success are they expecting if they start a home business. “Tell me about yourself” is the ULTIMATE Cold Market MLM Lead opening phrase that can be magic in MLM Cold Market recruiting. 4) Your first priority is to RELAX the prospect, then CONNECT to them. You MUST Relax the MLM Lead if you are going to be on the phone with them and hold a conversation with them. How do you do that? get them talking about themselves, and you MUST come across as totally relaxed and in control as well. Then find some things you have in common with the MLM lead, and connect with them on those things. It could be knowing someone in their city or state, same hobby, same type of family, same school attended, same industry you work in,etc. Find something to CONNECT with them, and it will be easier for them to connect to you. 5) Let them know that you only need 1 minute of their time. We found that if you simply say, “I really only need 1 minute of your time, as I am not sure this is something that would be right for you or not,” that will open them up much more to listen, and you will find that most people will appreciate the respect you just showed for their time. Many people are kept on the phone for 15,20,30 minutes at a time. Don’t do that. Set yourself apart from the crowd. Give them a timeline, and stick to it. If they find that you have something they might be interested in, you will know it. Say, “Is this making sense to you?” They will let you know if it is. There are many great ways to create Success in MLM leads and in the cold market, but these 5 tips are the start of what you need to do in order to create a solid start with your MLM Lead and Cold market prospect. MLM Network Marketing Training MLM Leads- The 5 Traits of a Great MLM Lead. There are certain traits that you look for in a good MLM lead. After working a TON of leads, and blessed to having built an organization worldwide, I have found that all good MLM Lead have 5 traits in common, with no exception. These traits you look for, and if you find that a lead has at least 3 of them you have a great possibility for your business. And MLM Leads can also end up being one of the best revenue sources for you, but first, find these traits. If you do, you will strike GOLD. These traits are common sense in many respects, but many times are rare to find. One of the KEY traits that we have found is an infectious personality. A personality that truly shines and glows. You can feel their warmth over the telephone, and sincerity. They have the type of personality that you simply want to be around, and talk to. This type of MLM Lead can be a gold mine, as they usually hang out with people of the same personality, and same outlook on life. They rarely are down, and when you call them they always seem glad you called. Another KEY trait to look for is High Energy. But let me be clear: High Energy is NOT hype. There are many folks out there that you will call that will try to HYPE you into believing you have found the GOLD MINE you have been looking for, and will tell you all about how great they are. High Energy people don’t really talk that much about themselves, but what they are doing. They focus on the engagement of actions and results, and you can FEEL their energy radiate form the phone and any communication they do. They can GET THINGS DONE, and refuse to quit during adversity. Plus, they have a great approach to Success in Life and Network Marketing- they have a philosophy of WHAT ARE WE WAITING ON? This trait is HUGE. They MUST feel comfortable with people. Especially people they do not know. In MLM, you will communicate and work with a lot of folks that you do not know. And if you find that your MLM Lead has great people skills, you will have found a great potential for Success in network marketing. People skills include friendliness, good listener, sincere, great communicator, and loves people. 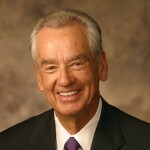 If a person truly loves people, they will go a LONG WAY to being a Success as an MLM lead. An MLM Lead that is a good listener will end up being a better recruiter than most. Recruiting is all about listening to the prospect. If you find that the MLM Lead asks questions, and then LISTENS and them asks more questions, you have found a good possibility for a recruit. Listening is the MASTER skill in Communication in Network Marketing, and Recruiting. A good listener is hard to find, but they are out there. Does the MLM Lead talk more than they listen? Do they try and dominate the conversation? Do they try and impress you? If this is the case, they probably do not have a great listening pattern established. But if they do listen to you, ask questions, and then ask more questions that make sense to ask, then you have found a potential gold mine for recruiting and building an organization. 5) Available when they said they would be. This is a HUGE trait that many MLM leads do not have. If a prospect says to call them back in 2 days, and you do, and they continue the conversation as before, you have a good one. Many MLM leads will not available at the time you call, because they had no intention to begin with of doing your business. A person of their word, who shows up for a return call like they said they would, is a person of integrity. Many people will attempt to play hide and seek as an MLM lead, and that is just part of the business. If they do not show up like they said they would, that is an issue that you may want to consider in the future, as all Future Great Leaders keep their word. And here is a BONUS Trait- DISSATISFIED. A Great MLM lead MUST be dissatisfied with their income, life, future, or something. You are to help them change what they are not happy with in their life, with your products and company. If they are Dissatisfied, then that means they are probably LOOKING for something better. Help them find it. These are the 5 Traits you should look for in a great lead. Yes, there are other traits that you will MLM leads, but these are the ones that we found to be worth GOLD in this business of working MLM Leads in Network Marketing. You know the type. For whatever reason, you ENJOY the conversation with them, and they are always positive, and optimistic. They have a tendency to make you glad that you talked to them, and you are drawn towards them. High Energy people don’t really talk that much about themselves, but what they are doing. They focus on the engagement of actions and results, and you can FEEL their energy radiate form the phone and any communication they do. They can GET THINGS DONE, and refuse to quit during adversity. Plus, they have a great approach to Success in Life and Network Marketing– they have a philosophy of WHAT ARE WE WAITING ON? It’s all About People in Network Marketing. 5)Available when they said they would be. MLM Network Marketing Training MLM Leads-The Top 10 Realities You MUST Know About MLM Leads. What is an MLM Lead? And why would you need an MLM lead to work? In Network Marketing, many times we run out of warm market, or we simply do not have many friends in an area. MLM leads help you to find people that are interested in a Network Marketing Home Business. They have called in either off of an ad, or maybe off of an internet site, and indicated they have an interest in a home based business. After having worked MLM Leads for 8 years, and made over 50,000 phone calls, there are some things that you need to know. MLM leads are a great way to work MLM, but there are 10 things you need realize about MLM Leads. They can be a GOLD MINE, or an empty shaft. You must learn the difference. 1) They are NOT a guaranteed Sale or Recruit. Just because they have indicated an interest, does not mean they are a done deal. They are simply many times “kicking tires” and checking to see what is out there. Make sure you know that they are serious about looking at your company. 2) They many times are NOT truly willing to change their life. What a lead says, and what a lead does are 2 different things many times. You must be aware that they may change their mind once they realize they have to change some things in their life. Many people are apathetic. Move on when they show you this. 3) An MLM Lead is usually very skeptical and guarded. This is normal. Many people who you will call, will want to get to know you first, and then take a serious look at your offer. Develop the relationship, for that is what will develop the Success. 4) An MLM lead is NOT a source of future Volume. Only a POTENTIAL Source. The potential of an MLM lead can be HUGE, or nothing. That is why that you call them. There may be a gold mine waiting to be dug in that lead, or it may end up being a pile of dirt as far as potential. You must understand that. You qualify them and then make your decision if they are worth pursuing. 5) There are many leads that have been burned before with other MLM companies. 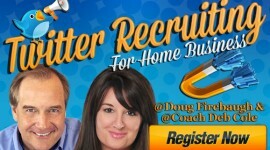 Many MLM leads you call have had a home business before, but got burned from dishonest people. They carry that “hurt” into your conversation, and you must be sensitive to it. Let them tell you about it, and you listen. You will be surprised at the good that can do for them, and you. They will respect your willingness to listen, and care. 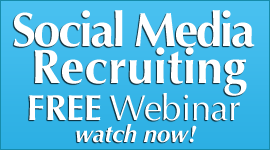 6) An MLM Lead IS looking for something, but you must find out what that something is. You MUST find what the lead is looking for. Financial Security? Recognition? Training? Personal Development? Freedom? Pay for kid’s college? To quit their job? All of these are possibilities, and you must zero in on what they are looking for. Once you discover it, help them obtain it with your company. 7) An MLM Lead is human, and has Dreams just like you. One of the great things about MLM leads as they are human, and most want a better life for themselves and family. They have dreams, and goals. You just talk to them about their dreams, and their desires and hope for their life. Make their dream a priority in your initial conversation. You will be surprised at their response to your interest in helping them achieve their Dreams. 8) An MLM Lead can, and will, lead you on, and then disappear. I call it the “ADP.” The Amazing Disappearing Prospect. Many leads you call, will try and lead you on because they appear to want to be chased and that makes them feel important. Do NOT chase them. If they disappear, let them go. There are more leads out there than you can count. Go to the next one. 9) An MLM Lead CAN make you rich. You read that right. 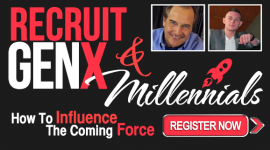 There are many folks that have been called, and recruited, and have exploded into the industry. But you MUST be persistent in working the numbers. They WILL show up, if you simply let them. Don’t give up, because they WILL show up if you persist. And potential wealth is waiting on that list of leads you have. 10) It is NOT a working the Numbers game, but EFFECTIVELY working the numbers with MLM Leads. Many people have called a lot of MLM leads, and they have never hit it big. Why? Lack of effective impact on the prospect. Working the numbers effectively is focusing on the lead, getting to know them, finding out what they are looking for, understanding they may not be truly interested, and caring more about what is right for them, then what is right for your paycheck. 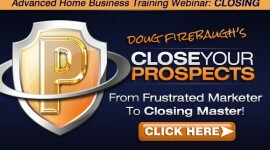 If you keep that focus, you will win HUGE with MLM Leads. Here is a BONUS Reality- It is NOT the MLM Lead as much as what you DO with it. 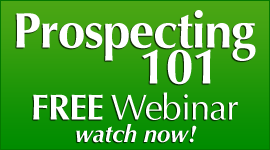 How can one person call 100 leads and get nothing, and another call the same lead list and recruit 10 people? It is what you DO with the lead, not what you just say. Focus on what they want, and not what you want. Be their friend, and care more about THEIR paycheck than yours. Show them you can help transform their life, and future. MLM leads are a great way to find incredible people, if you understand the realities of what you are dealing with. It is fun making new friends, and many can become friends for life. That is the Real Power of Network Marketing, and MLM Leads. What is an MLM Lead? And why would you need an MLM lead to work? In Network Marketing, many times we run out of warm market, or we simply do not have many friends in an area. MLM leads help you to find people that are interested in a Network Marketing Home Business. They have called in either off of an ad, or maybe off of an internet site, and indicated they have an interest in a home based business. It’s MORE than a Numbers game with MLM leads. 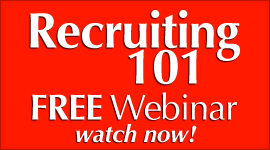 How can one person call 100 leads and get nothing, and another call the same lead list and recruit 10 people? It is what you DO with the lead, not what you just say. Focus on what they want, and not what you want. Be their friend, and care more about THEIR paycheck than yours. Show them you can help transform their life, and future. MLM Network Marketing Training- MLM Leads- The 5 Traits of a Good MLM Lead. There are certain traits that you look for in a good MLM lead. After working a TON of leads, and blessed to having built an organization worldwide, I have found that all good MLM Lead have 5 traits in common, with no exception. These traits you look for, and if you find that a lead has at least 3 of them you have a great possibility for your business. And MLM Leads can also end up being one of the best revenue sources for you, but first, find these traits. If you do, you will strike GOLD. These traits are common sense in many respects, but many times are rare to find. The Key MLM Leads Traits. Another KEY traits to look for is High Energy. But let me be clear: High Energy is NOT hype. There are many folks out there that you will call that will try to HYPE you into believing you have found the GOLD MINE you have been looking for, and will tell you all about how great they are. High Energy people don’t really talk that much about themselves, but what they are doing. They focus on the engagement of actions and results, and you can FEEL their energy radiate form the phone and any communication they do. They can GET THINGS DONE, and refuse to quit during adversity. Plus, they have a great approach to Success in Life and Network Marketing- they have a philosophy of WHAT ARE WE WAITING ON???? 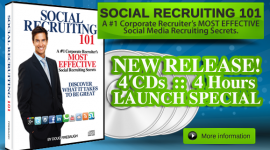 An MLM Lead that is a good listener will end up being a better recruiter than most. Recruiting is all about listening to the prospect.. If you fins that the MLM Lead asks questions, and then LISTENS and them asks more questions,. You have found a good possibility for a recruit. Listening is the MASTER skill in Communication in Network Marketing, and Recruiting. A good listener is hard to find, but they are out there. Does the MLM Lead talk more than they listen? Do they try and dominate the conversation? Do they try and impress you? If this is the case, they probably do not have a great listening pattern established. But if they do listen to you, ask questions, and then ask more questions that make sense to ask, then you have found a potential gold mine for recruiting and building an organization. The HUGE MLM Lead Trait. A Great MLM lead MUST be dissatisfied with their income, life, future, or something. You are to help them change what they are not happy with in their life, with your products and company. If they are Dissatisfied, then that means they are probably LOOKING for something better. These are the 5 Traits you should look for in a great lead. Yes, there are other traits that you will MLM leads, but these are the ones that we found to be worth GOLD in this business of working MLM Leads in Network Marketing..